Dog fighting, in and of itself is a heinous crime. What may be surprising to find out, however, is that others are encouraging dog fighting by offering instructional videos about the activity. YouTube.com, the world's largest video sharing website, features videos depicting dog fights and material related to it. Dog fighting is an abhorrent "sport" in which owners pit two dogs against each other in the ring and have them fight until one collapses or dies. The other dog is most often injured as well. YouTube should not allow these videos to be featured anywhere on the site as they only promote violence and carnage. Write to YouTube's CEO asking her to prohibit these videos and stand up for dogs! Dog fighting is a heinous activity in which two dogs are pitted against each other and are made to fight to the death. It's a bloody sport where no one wins. These fights depict excessive violence, cause great harm to the animals involved, and break the law in all fifty US states in addition to many countries around the world. By these measures, such videos violate your community guidelines regarding "animal abuse", "graphic or gratuitous violence", "intent to shock or disgust", and "encouraging dangerous, illegal activities". 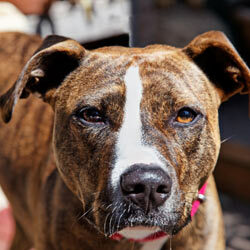 Despite these safeguards, dog fighting videos persist on your video sharing site. With the resources dedicated to the removal of copyrighted content, these sensational and gruesome videos stand out, lending an air of culpability in propagating this unlawful and immoral practice. Though you will not comment on the removal of individual videos, the continued presence of this particular category demands a review of your policies and procedures for the handling and reviewing of flagged content. As a good first step, your Community Guidelines might explicitly prohibit the presence of dog fighting videos under your "helpful examples and tips." Please take down all dog fighting videos and do your part for the humane treatment of dogs everywhere. The Animal Rescue Site received a disappointing letter from YouTube in response to our request to ban dog fighting videos. Rather than agree to remove them, YouTube merely reiterated their flagging policy, and did nothing to acknowledge the harm these videos are causing. Your signatures are more important than ever -- help us tell YouTube that we won't take no for an answer! That's 148,206 signatures! Let's keep the ball rolling.